In Out of Galaxy: Gin no Kōshika (銀のコーシカ ～松本零士～) leap onto a space-time boat into space to save the endangered Earth under the command of the absolutely beautiful "Haguro-oya". Together with the boy "Sea Beginning" with a mysterious power silver pendant. A story of magnificent life begins now. 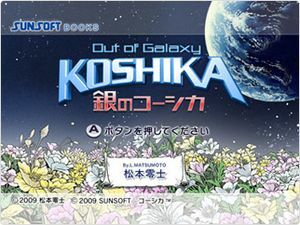 The graph below charts the compatibility with Out of Galaxy: Gin no Kōshika since Dolphin's 2.0 release, listing revisions only where a compatibility change occurred.